As many readers know, BRIGHT are one of my favorite girl groups. This EP started it all. I came in about a year late (2009) and had this album on repeat. Like all the other albums, this one starts off with Theme of BRIGHT, a short English acapella harmony from the girls. 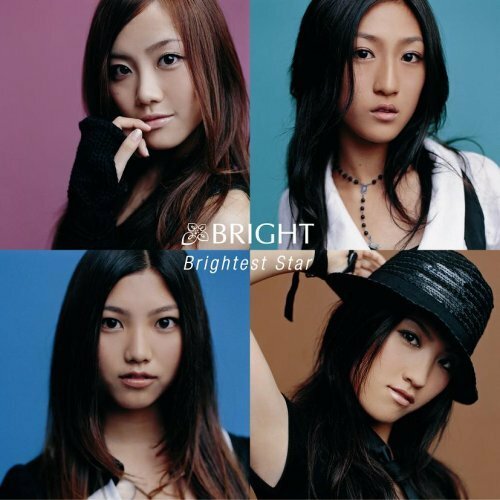 Brightest Star is a fun pop song talking about how their beau is their ‘star'( very cheesy, but very fun). Next is Girls Party Time, this is what every friend does for their friends when they experience heartbreak take ’em out, party and forget about the loser who missed out on you ever. Eternal Love, opens with a electric guitar, i think and is more of a R&B sound. The harmony in the chorus is a little shaky, but still a pretty good song. Tears starts off with a guitar and ‘raindrop’ effects. It sounds like a typical girl group song; nothing really stands out about this song. I am so spoiled because I heard them sing ORANGE at their concert in an acoustic version and it was so amazing. I thought that it would be the same but sadly it wasn’t. The album version is okay, but the concert version is 10 times better. I love this EP, it showed off the girls talent and had a nice mix of R&B and pop. I like how they matured with their sound. I rate this 4/5. Previous PostMBLAQ CryNext PostOur Youtube Channel!! hmm, although i have heard all the song, i really don’t remember all of them except Theme of BRIGHT and Brightest Star, but thanks to you I think i’m about to take a stroll down memory lane. hehe. i like doing those kind of things. and i would so love to hear/see them live. thanks for sharing. I watched their concert on YouTube a user uploaded the whole thing I think their user name is 33QUICKER or something like that. I can send you the link if you want.